The Hot Stick tastes great two ways – “naughty” or “nice” – with or without jalapeno-cilantro infused vodka. In both versions, the sambuca’s anise flavor blends beautifully as an essential, grounding element of the whole drink but not as a domineering note. 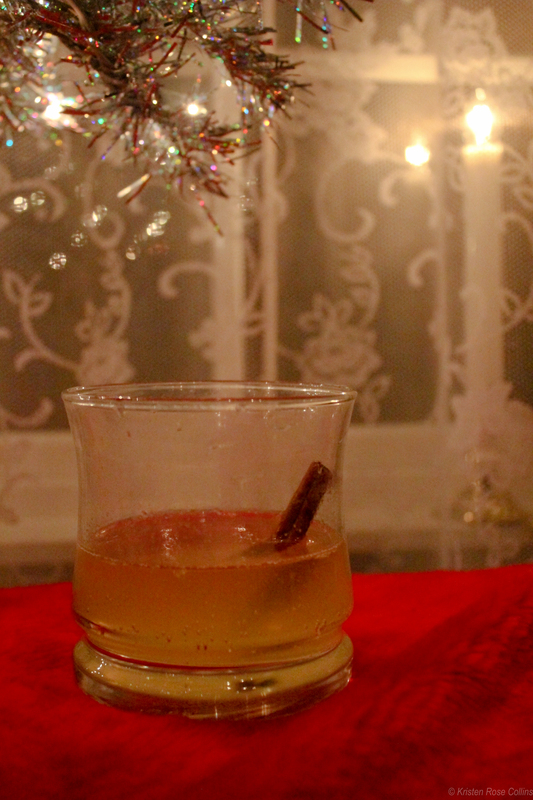 Without the infused vodka, the drink is pleasantly warming, refreshing, and almost tropical, like enjoying a Christmas bonfire in the Caribbean. However, the vodka adds a fantastic hutzpah; if you can take the heat, then please go for it. As the old saying goes, nice drinks finish last. 1. In a shaker with a few ice cubes, combine the sambuca, infused vodka, and orange juice. Shake well. 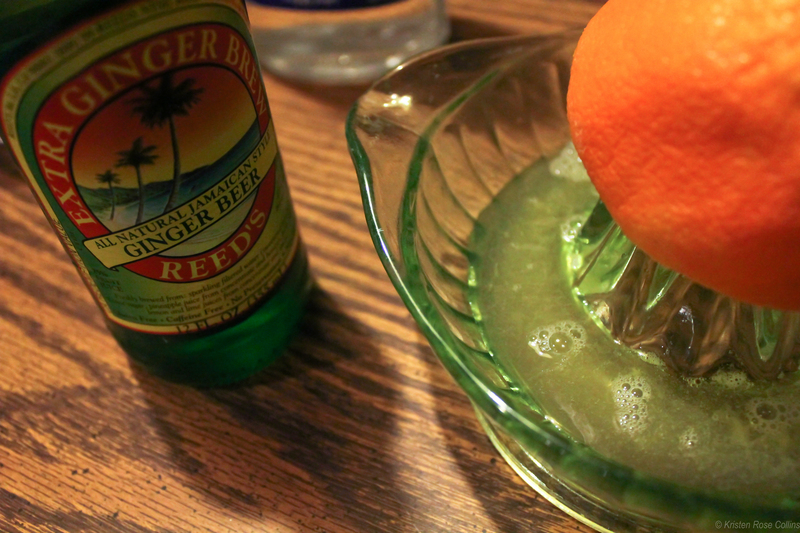 After shaking, add chilled ginger beer. 2. Place the cinnamon stick on a plate and light it until smoldering. Cover the stick with the mouth of your drinking glass to capture the smoke. Flip the plate and glass over, so that the cinnamon falls into the glass, lift the plate, and strain the previously mixed ingredients into the glass. When I make infused vodkas, I prefer to take a 1.75-liter bottle of an economical but decent vodka (Svedka’s my go-to) and divide it into four different flavors (of about 14 oz each) to store in pint-sized mason jars after straining. I use gallon jars for the infusing process, but quart jars would probably work just as well, if not better. 1. Rinse, deseed, and halve each jalapeno pepper. 2. Rinse and bruise the cilantro. 3. Place the cilantro in a large jar, then top with the peppers, creating a lattice-like structure. This minimizes any contact between the herbs, vegetables, and air in the jar. Top with vodka. Refrigerate. 4. Wait for 48-72 hours, stirring the infusion about 3 times a day. When you’re satisfied with the taste, strain the vodka using a fine mesh sieve, removing the cilantro and peppers, into a clean jar or bottle. Keep refrigerated. 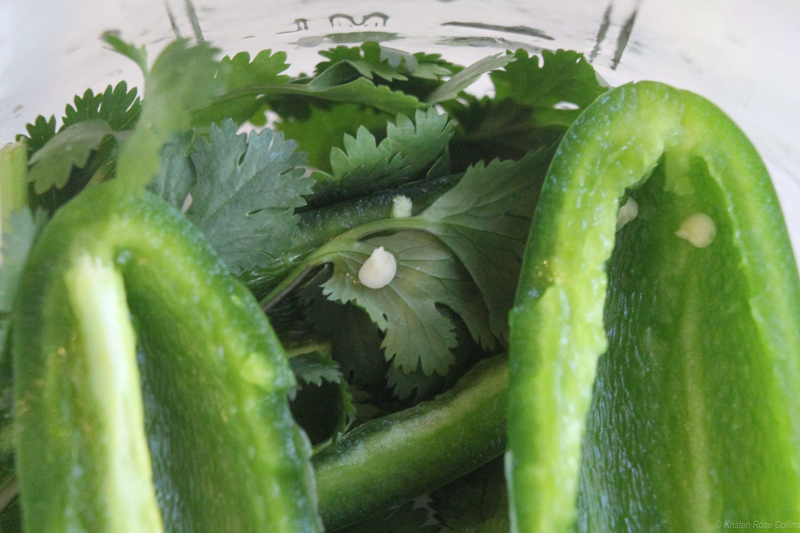 The longer you infuse with jalapenos, the spicier the vodka. After infusing for 72 hours, the vodka is perfectly spicy and earthy for me and those I’ve served, but you could try longer if you so dare!